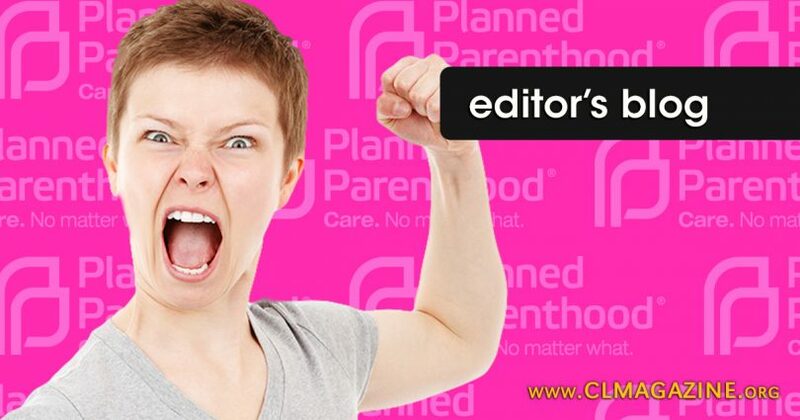 Pro-lifers Donate to Pregnancy Resource Centers in Cecile Richards’s Name! To date, more than 400,000 pro-lifers have donated to Pregnancy Resource Centers in honor of Cecile Richards, the president of Planned Parenthood. With every donation to a center in her name, Richards’s office gets a letter thanking her for the financial support. Pro-lifers have yet to win anybody over with these tactics, which, though technically legal, are obviously hate-filled and mean-spirited. But as they chant their slogan “Defund Planned Parenthood,” they remain confident that their hateful acts will eventually bear good fruit. That story sounds a bit crazy, right? All I did to create this “fake news” was compile several true stories about Planned Parenthood donations (see here, see here, see here, and see here) and flip it so that Cecile Richards was the target and pro-lifers were the angry donors. So why does it sound somewhat extra crazy when flipped like this? The main reason is because when one donates to a charity—that is, to a good cause—the focus is typically on that good cause. When one donates, for example, to a Pregnancy Resource Center, he or she thinks of the people who will be helped by that center; the donor does not dwell on other people who are against such centers when contributing. So, if Planned Parenthood is such a wonderful charity that does so much good, why do so many of its donors obsess over public figures who oppose taxpayer funding of the organization? And why do they consider it an opportunity to troll and harass those public figures? Have YOU ever given to a charity largely to spite and provoke somebody with whom you disagree regarding that charity? I think most of us realize that using a charitable gift as a weapon to show animosity towards anybody, for whatever reason, taints the purity of giving to a good cause. You have to wonder if Planned Parenthood’s angry donors are more interested in actually supporting the organization or are more interested in expressing their hatred and intolerance for public figures who oppose Planned Parenthood. Do other charitable organizations have supporters like this? You have never read about people sending donations to Wounded Warrior Project in honor of Senators and Congressmen who support more federal money going to illegal aliens than to vets. Donors want to help wounded warriors, not use Wounded Warrior Project as a means to attack politicians with mixed-up priorities. How about Food for the Poor? You have never read about supporters of that organization marching the streets of Washington dressed as genitalia, for whatever reason, or making donations in some politician’s name to harass that politician. So here is the question: If Planned Parenthood is such a wonderful charitable organization that does so much good, then why, unlike the majority of charities, does it constantly incite so much hatred in its supporters?